Benefiting Government, Industry and the Public Through Innovative Science and Technology. The University of Louisville Offers Over a 120 Graduate Programs, Explore Which One is Right For You. The University of Louisville Offers Many Opportunities for Students to Get Out of The Classroom and Directly Help People by Putting Theory into Practice. Studies show those with a master's earn on average $400,000 more--and those with a doctoral degree earn on average $1.3 million more--over their careers than if they had a bachelor's degree only. REACH and the School of Interdisciplinary and Graduate Studies (SIGS) have partnered with The Princeton Review® to offer UofL students FREE test prep seminars for graduate and professional school. GRE seminars are offered each semester as well as specially scheduled seminars for the respective Schools and Colleges. Our upcoming seminars will be announced shortly. Through our partnership, we are proud to offer LiveOnline free full-length practice tests for the GMAT, GRE, LSAT, and MCAT! Additionally, UofL students receive exclusive discounts on test prep materials and courses through The Princeton Review®. Tests include the DAT, GMAT, GRE, LSAT, MCAT, and OAT. To learn more or take advantage of these offers, go to princetonreview.com/louisville. 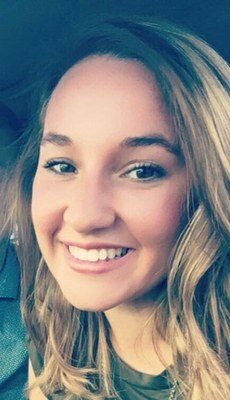 Heather Ewing completed her undergraduate career at Indiana University Southeast where she majored in psychology and minored in communications. After graduating in 2016, Heather started her Master’s of Education at the University of Louisville where she is finishing her last semester focusing on applied behavior analysis and autism spectrum disorder. . . . Read Interview.